Elegant and stylish premium quality ballpoint pen with comfort grip, in fashionable and popular colors. Each pen features a rich lustrous chrome coated color barrel. 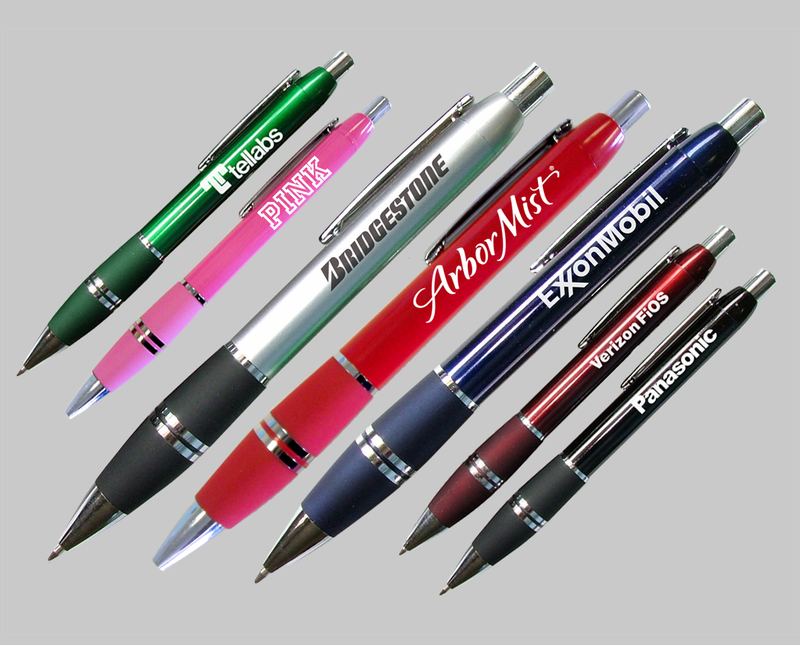 Our stylish and elegant high quality pens will enhance your clients image. Perfect for trade show, sales visits and everyday office use. Eco friendly, materials are 100% recyclable. Writes In Black Ink, Uses Standard Refills. Length 5.5"
Colors Currently Available Are Dark Red, Bright Red, Pink & Green. Case Pack=500 Pieces Case Weight=22 lbs Case Size Approximately 16" x 10" x 9"